The popularity of Slotomania is hard to match when it comes to social online games. It's millions of likes are fostered because of the awesome environment created by the social team. Of course the HD slots and generous rewards help, too. Slotomania grew to an amazing size in a relatively short period of time. This isn't by anything underhanded, but rather a fantastic value proposition. First of all, the games will always play a huge role in their popularity. Playtika provides tons of awesome pokies that players can enjoy for free. These pokes include detailed themes, bright colours, large animations and all manner of bonus spins and rewarding features. When it comes to free online slots, Slotomania has things covered. But having excellent games is only the first step. Players need to be able to enjoy those games without any hassle. Because it's a social casino, Slotomania makes sure that the fun keeps coming by offering frequent bonuses, including a generous batch of starting coins. The starting 10 000 coins are just the first sign of generosity, with plenty of other ways to claim free coins available on the platform and the Facebook page. Thus, you really don't need to worry about running out of credits to play. Slotomania is available across devices, too. You can play through Facebook if you so wish, or you can download the unique app on your phone or tablet, including iPhone, iPad, Android devices, Windows phone or even Kindle Fire. 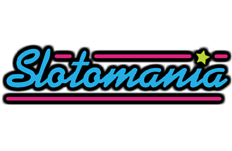 Finally, Slotomania really knows what they're doing when it comes to the social aspect of online casino gameplay. Letting you play with friends, and make new ones who share the same love for free slots, is only the start. You can actually check on how your friends are doing from the app, and send gifts to help them increase their winnings. When you go to Slotomania and login with your Facebook account, you'll get 10 000 coins if you're a new player to use on the available games. This generous welcome bonus makes sure that you start off at Slotomania properly, and should keep the action going for a long while. In the early levels, bets only cost a few coins at a time, so it's unlikely that the welcome bonus will run out anytime soon. Plus, if you just check out the Slotomania Facebook page, you can see that they are often giving away 5 000 and even 10 000 coins! Play at Slotomania Casino and Get Your Free Chips Offer Now! It's a generally accepted fact that pokies are the go-to games for Aussies, and so Slotomania does what it can to live up to its name and provide more than enough entertaining options. The casino has over 70 online slot machines in its collection, which you can view from their website. Playing all of them is a bit tricky, though, as you'll need to unlock the games first. That said, even as a level 1 player, you can play ten different video slots. On top of the games in the main lobby, players can also access a Classic Slots category, with one game unlocked from the start. The best part about this section is that you can unlock more games just by visiting the social casino multiple days in a row. Regardless of which games you go for, they all look fantastic and have incredible themes. The controls will be familiar to experienced players and easy to pick up for newcomers. When testing the site for the Slotomania online casino review, we found that you can get a ton of wilds, stacked symbols, free spins and bonus rounds. We all know why mobile apps are so important. Most of us feel naked if we leave the house without our smartphones. We use them for everything from checking our bank balances to calling loved ones, scrolling through social media feeds and keeping up to date on the news. Mobile phones let us do whatever we want, wherever we want, whenever we want, and that includes social casino action. Slotomania Mobile Casino really has this aspect covered, especially when it comes to device compatibility. Although you can't access the casino using instant play, there are more than enough native apps so you can just go to your normal store for apps and download the correct one, whether you're playing on iOS, Android, Kindle or Windows devices. Once you sign in with Facebook, you'll be able to continue where you left off on your computer. The same account, with the same coin balance, follows you on different devices. The mobile casino doesn't lose any of its charm on touch screens. In fact, many players prefer to be able to access all that excitement from the tap of a finger. When it comes to languages, Slotomania isn't quite ideal. It won't be an issue for most Aussies, as the casino is only available in English. However, if you are hoping to play with friends from around the world, or wanted to use social casino action as a reason to practice a second language, you'll just have to cope with English only. As for support, Slotomania has pretty much everything you'll need. They have a detailed and varied series of articles and FAQs to answer pretty much any question you might have. Plus, thanks to the power of Facebook messaging, you can actually reach out to the support staff directly from within the Facebook page. On the whole, Slotomania Casino is one of the best places you can play social slot games with friends. It has everything you'll need to get things going and keep pokie fans happy. If you had any doubt, just check the millions of fans the casino has on Facebook. The collection of online pokies is really appealing. The games look and work so well and really nail the fun parts of casino games. The animations and designs are so enthralling, you'll find yourself wanting to play for hours on end. Thanks to the free coins at sign up, and numerous bonus coins rewarded on a regular basis, you can enjoy the gameplay without needing to worry about losing your shirt, either. The games offer excellent winnings, but more than that, the social community at Slotomania ensures that you're always having fun and ready to play.